He'll be executive producer, while fellow Blur Studio member Jeff Fowler directs. Deadpool and Sonic have a fair amount in common. They vanquish bad guys, protect innocent bystanders and talk with spades of attitude. With this in mind, it's no surprise to hear that Tim Miller, the director of the (good) Ryan Reynolds superhero movie, is turning his attention to the blue blur next. That's right, the out-of-nowhere "live-action and animation hybrid" movie that was announced back in February. He's stepping on as executive producer to help director Jeff Fowler and executive producer Neal H. Moritiz, who also works on the Fast and Furious franchise. Miller and Fowler are part of Blur Studios, a visual effects, design and animation company in California. The team has produced CG trailers and commercials for Titanfall 2, Doom, Dishonored 2 and Mafia III, among others. Most notably, it worked with Microsoft to give Halo 2's cinematics a face lift for Halo: The Master Chief Collection. Miller and Fowler have collaborated before, developing the Oscar nominated Gopher Broke short in 2005. 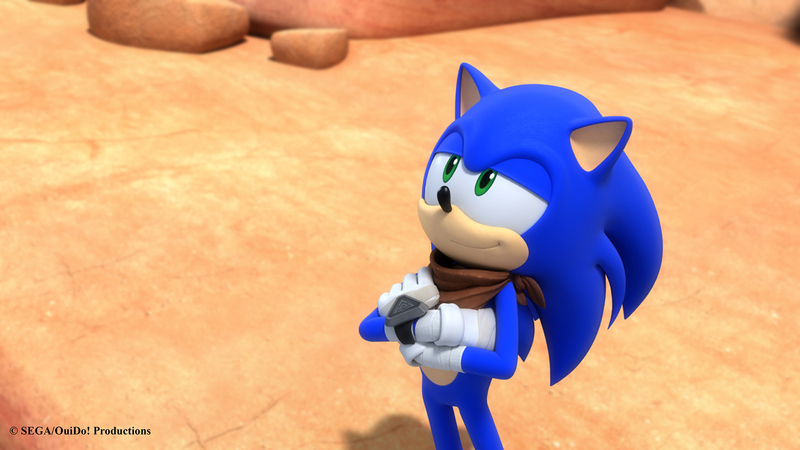 For Sonic the Hedgehog, they'll be working with Sony Pictures and Marza Animation Planet, a CG animation studio owned by Sega. Maybe, just maybe, there's a chance this movie won't be complete rubbish?